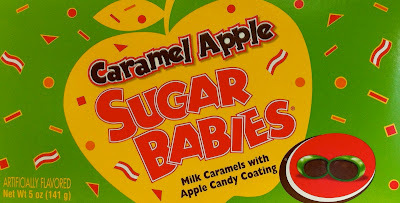 I've been looking for these Caramel Apple Sugar Babies everywhere and finally located them at a local Target. Caramel apples are one of the best foods on earth. Sugar babies come close in that "best-ever" echelon. 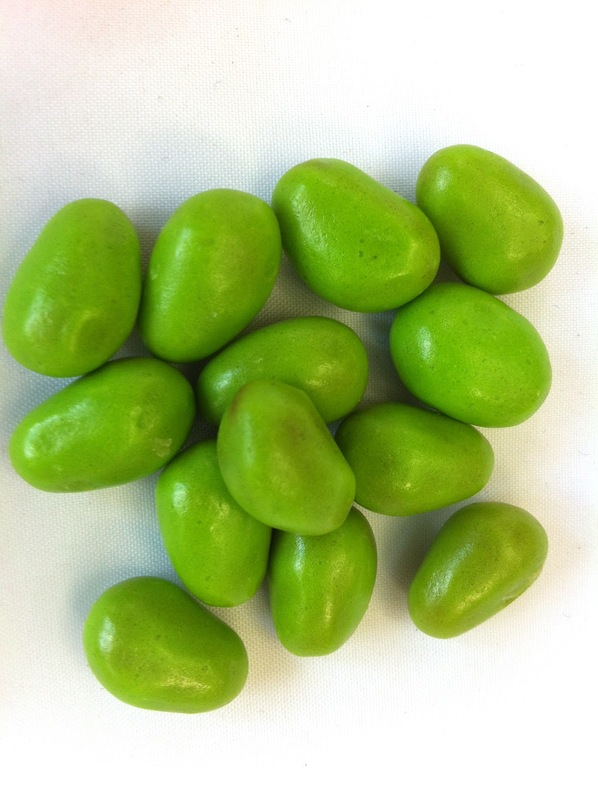 Sadly, though, these are not appealing to the taste-buds. The apple flavoring on the outside tastes like a Jolly Rancher Green Apple candy- it's that intensively artificial version of apple that bears no resemblance to a real tart yet mellow apple. This strident apple layer completely obliterates the flavor of the caramel interior. I did find that if you shove a bunch of the Sugar Babies in your mouth at once, once some of the apple layer wears off, you can taste a nice blend of caramel and apple. But really, these are chewy artificial apple candies. Disappointing, certainly, but an interesting idea. Sugar Baby could really run with this idea and blend the caramel mini delights with all kinds of exterior flavors that might combine beautifully. Your description of Caramel Apple Sugar Babies is making my tongue cringe.